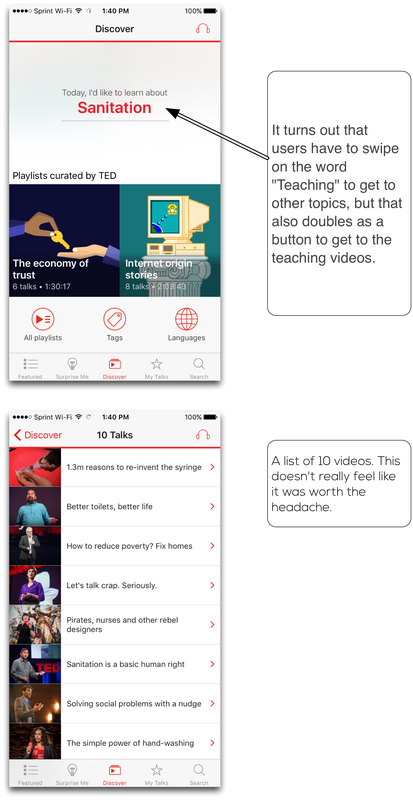 TED Talks are “influential videos from expert speakers on education, business, science, tech and creativity.” Their mobile app is a platform for people to watch, download and share TED’s videos. 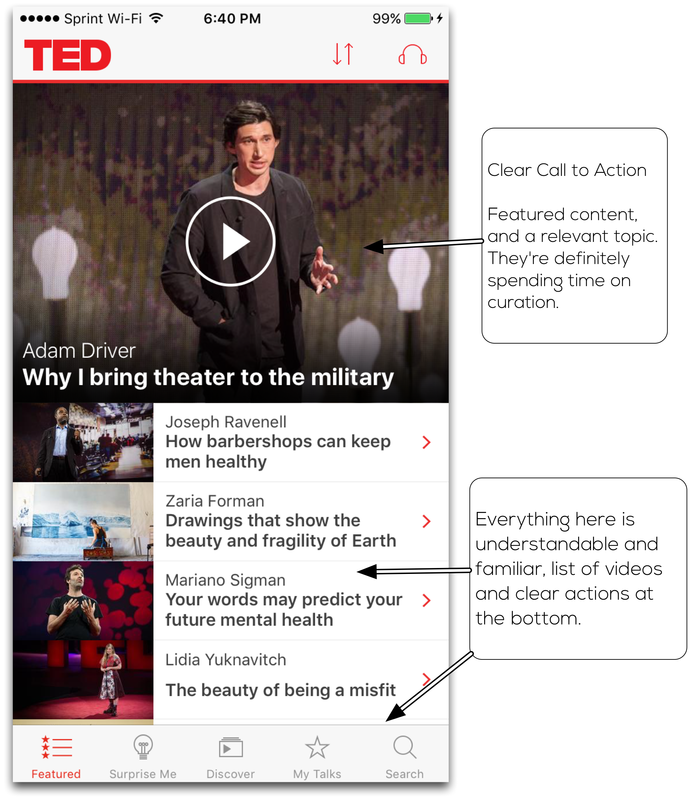 This is a look into how that app works for users and a set of recommendations and observations to the user experience that can help with TED’s goals of retention and engagement. 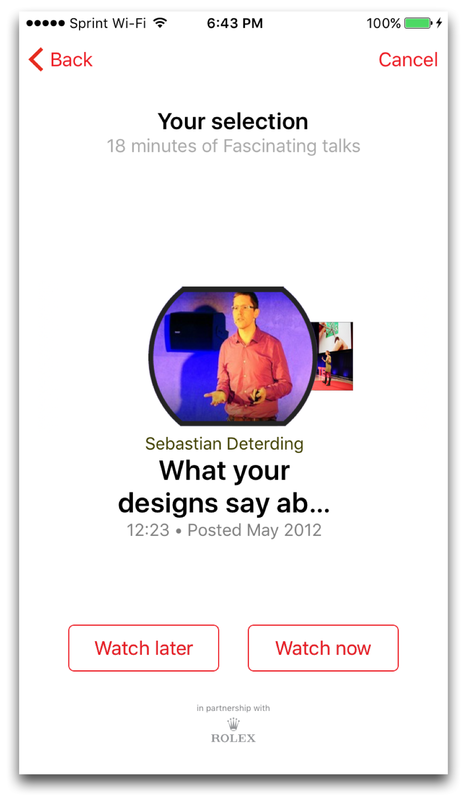 At the first launch of the app the UI and layout look great. So let’s dig in and see what we can see. Ok, let’s dig into the UI and take a closer look at the top bar. Clicking the headphones button opens a drop down. Here’s a typical user’s train of thought. The autoplay feature might not be the best idea for a new user. It’s confusing and there’s nothing explaining to the user what the headphones mean. I guess they mean you should put your headphones in because we’re going to blast some noise while you’re sitting in Starbucks. It’s supposed to be fun exploring a new app and when a user comes across a button that they don’t typically see in other applications, the best idea is to give them an explanation of what it is, or at least a warning that they’re going to start a disco in the middle of a coffee shop. Back to some affordance problems. Here are to quick things I noticed that are going to be confusing to users. This one is a function that makes perfect sense where it is. This is a simple button to display subtitles. The problem is that it looks like the universal action for texting and commenting. 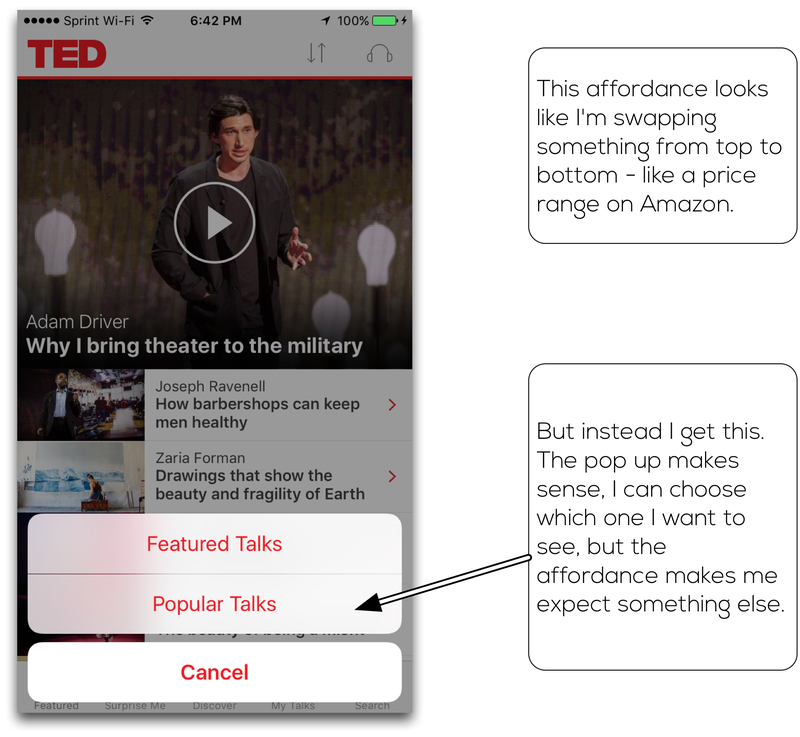 This affordance can change in a few ways to make it easier for the user to understand what the button does. 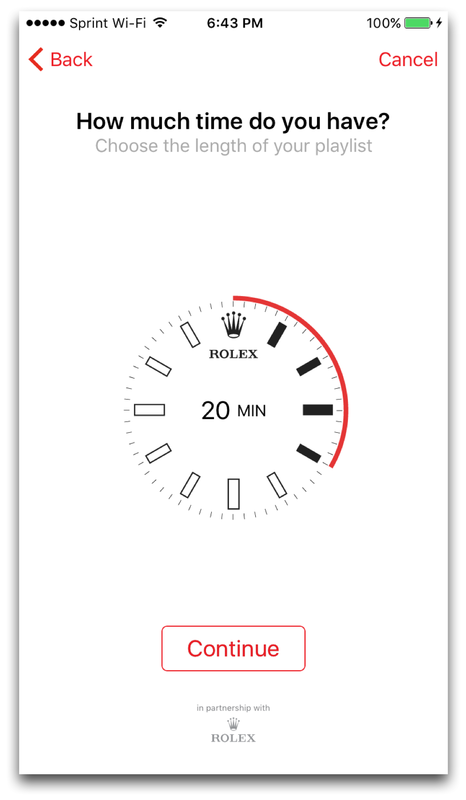 Screens like this cause users to bounce if they don’t understand what the specific actions they’re supposed to do are. There are no affordances and users are expected to figure it out, there’s nothing fun in the exploration here, it’s just frustrating. 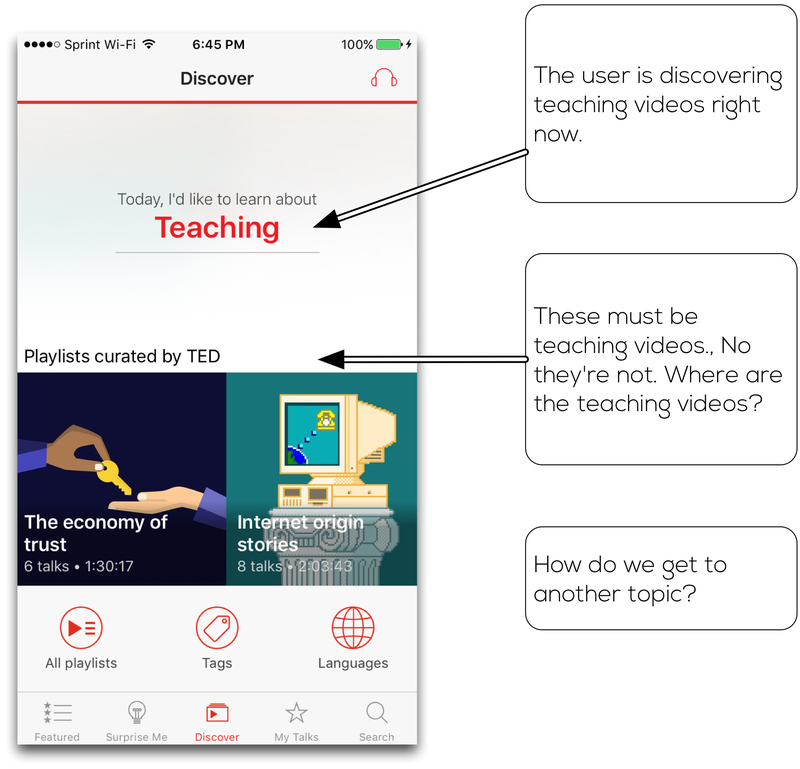 Overall, in Discover one would expect the videos under the new term to change after they figured out the swipe functionality. After you figure all of that out, you get a relatively disappointing list view. This section of the app can use some work to make it appear more curated and nicer on the eyes looking. This will make the discovery experience much lighter, and fun and engaging. It’s not rocket science guys. 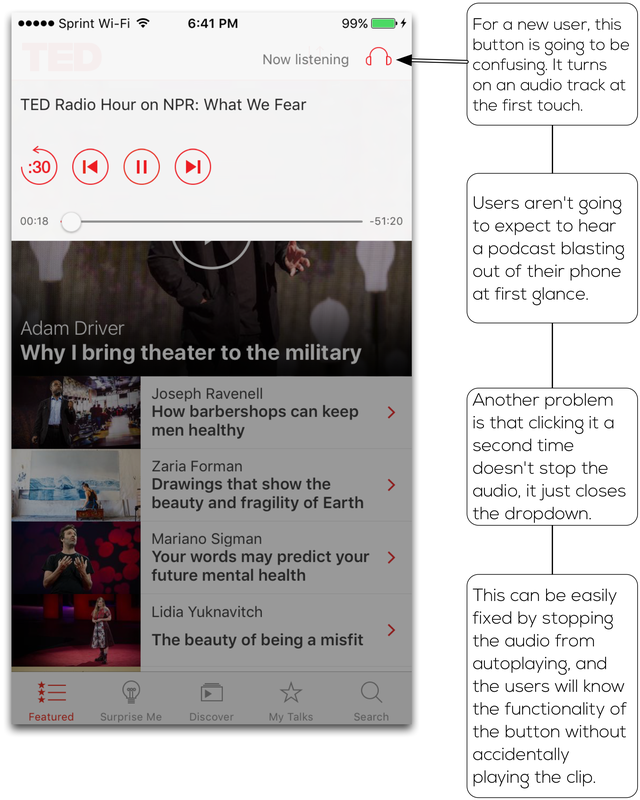 This screen makes sense as a feature with a content app, but there are a few expectations not really being met here. The user sees a “surprise me” button and expects that when they hit is they are going to get a surprise. In this case it will be a cool new video. When clicking it, they are directed through several more steps, and in the process they lose the feeling of surprise. A random video after clicking the button could be all the users need after clicking surprise me. The reality didn’t really live up to the expectation (the expectation that that I was going to be surprised). I was surprised by the fact that I was sent to this secondary screen, but it only caused a moment of confusion and a little more work for me. Then we select a length. Finally we get a video, but this feature slows the user down, and could be used to make the application work faster for the user if it played a video when the user a video when they selected “Surprise Me”. Let’s see what happens if we click Cancel. This screen comes up and we don’t really have any idea how to get back to that cool “Surprise Me” screen. Now there’s no way to get back to that cool simple page with the single button where I was hoping to get surprised. This doubles as a save for later screen and has no real way to play Russian Roulette with some cool content. 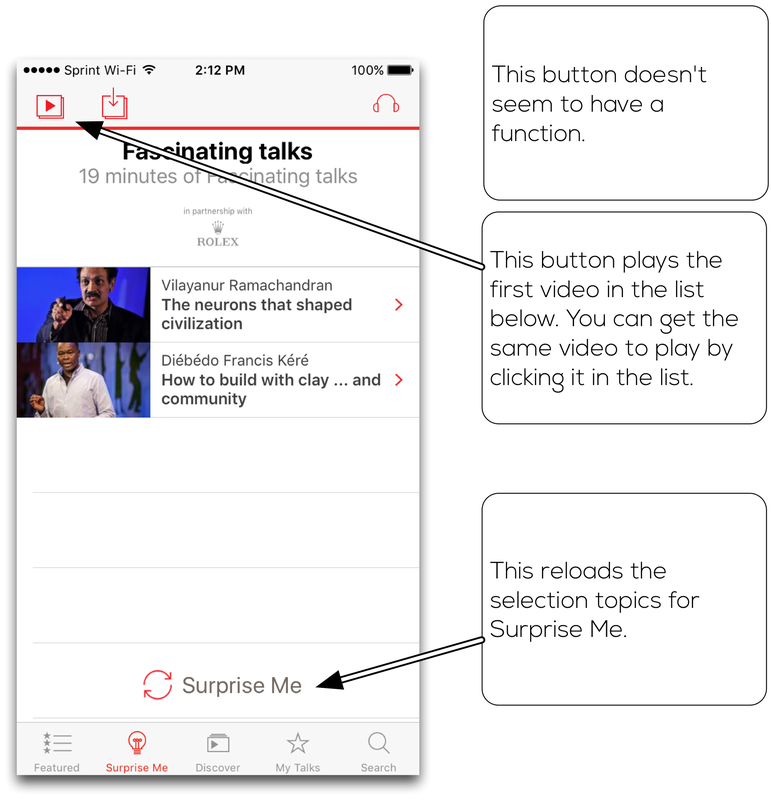 This feature will be much better for users if they understand what they’re getting into when they start. Surprise Me makes sense. It would be a lot easier to understand if users just got a surprise instead of all of this extra functionality.